In early August, the U.S. Environmental Protection Agency (EPA) released its much-awaited Clean Power Plan (CPP) final rule, which targets greenhouse gas (GHG) emissions produced by power plants. Electricity generation is the largest source of GHG emissions in the country, with 39% of that electricity generated using coal. As one of the most GHG-intensive forms of energy production, coal drastically increases the carbon footprint of energy generation. The EPA has set unique reduction targets for each state (based on their power mix) that aggregate to an overall reduction of 32% by 2030 based on a 2005 baseline. Carbon Central has created an interactive map that illustrates each state’s mass-based target* as well as the percentage cuts each state will have to make between 2012 and 2030. 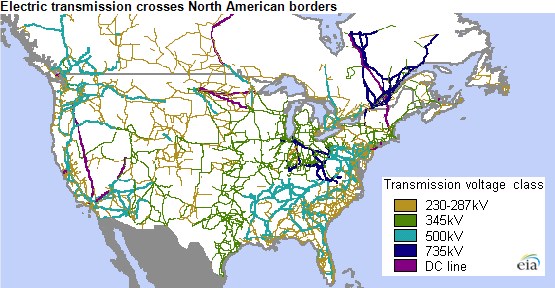 Given regional grid integration, the CPP has implications for Canada. In particular, it could lead to increased demand for Canadian-produced hydroelectric power and renewables as a low-carbon option. Trade is currently highest in regions with large amounts of hydropower, such as between Northern Manitoba and Minnesota and North Dakota; Ontario and New York and Michigan; and Quebec and New England. 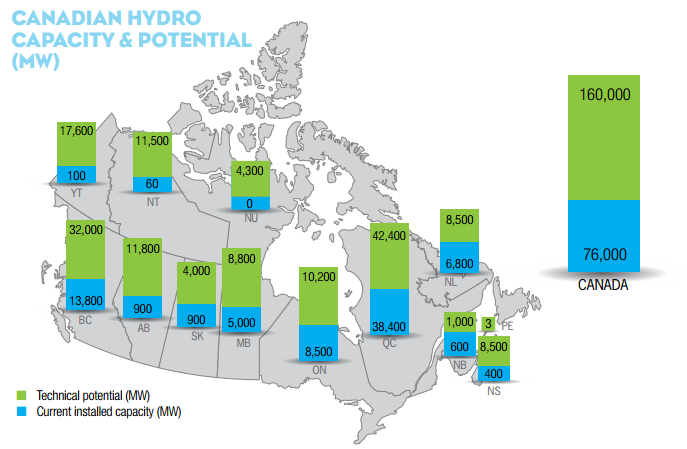 While it is currently unclear how the CPP will specifically impact Canadian hydroelectricity production demand from the U.S., it is possible that new Canadian hydro could have a significant role to play in helping American utilities meet their goals under the CPP. *Under the CPP, states have the opportunity to choose whether they meet a rate-based target (based on carbon intensity) or a mass-based target (measuring CO2 in metric tonnes). Mass-based targets set a goal based on a percentage decrease from an established baseline. The EPA has made it easy to convert between the two methods with the following formula: Mass = CO2 Emissions Rate x Generation. In this formula, the only variable that can change is the generation, as the EPA has a set emission rate for each state.